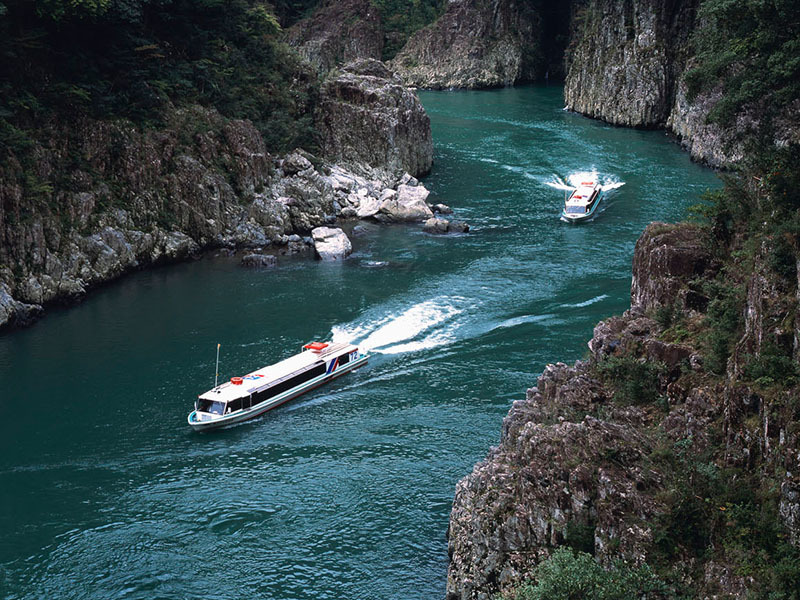 Enjoy a two-hour tour through the 31-km Doro-kyo Gorge, on the Kumano-gawa River and Kitayama-gawa River in the Yoshino-Kumano National Park, on a jet boat traveling at 40 km per hour. 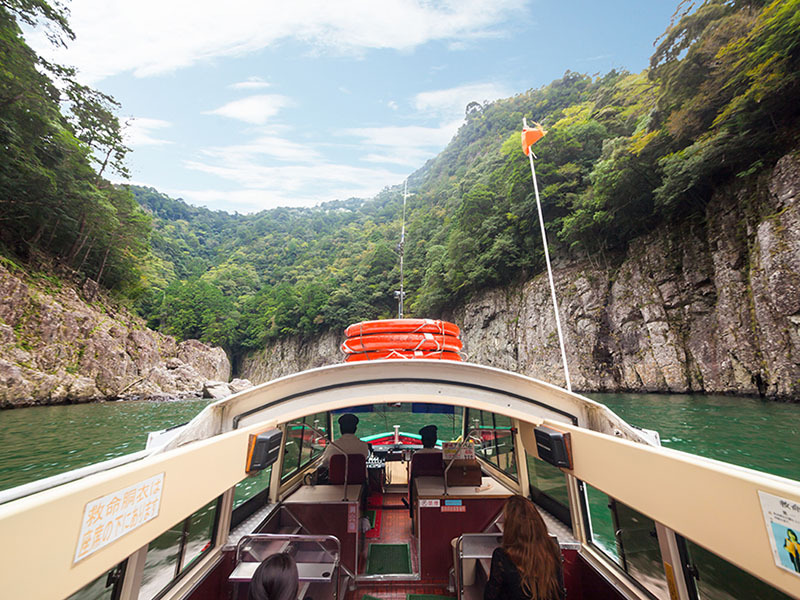 The roof of the boat slides open, allowing you to enjoy the sight of the rock cliffs towering on both sides. 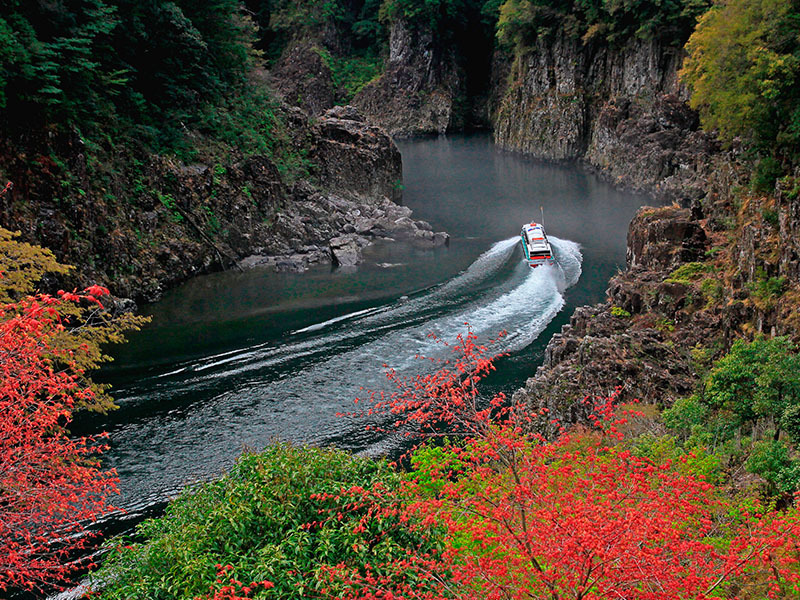 The boat stays in Doro-kyo Gorge for 20 minutes, so you can fully enjoy its beauty. 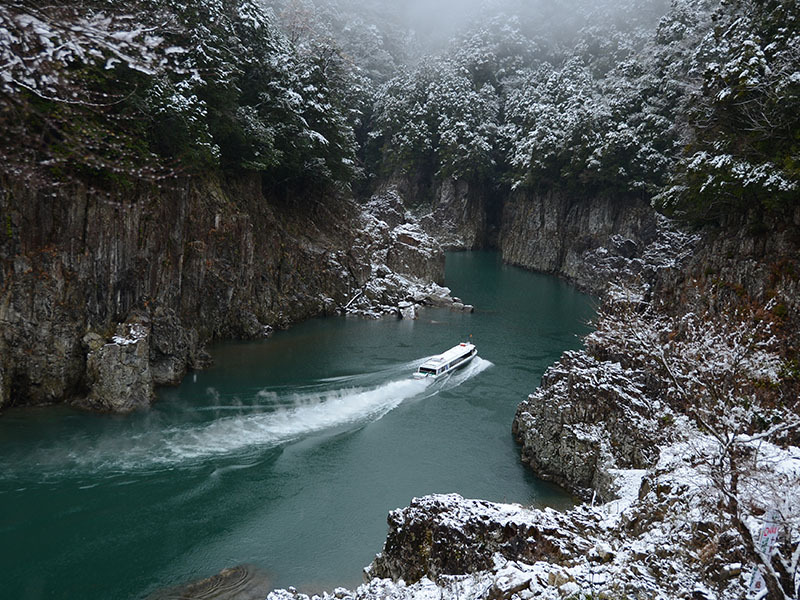 The boat thrust by water jet sails as sliding on the surface of the water. 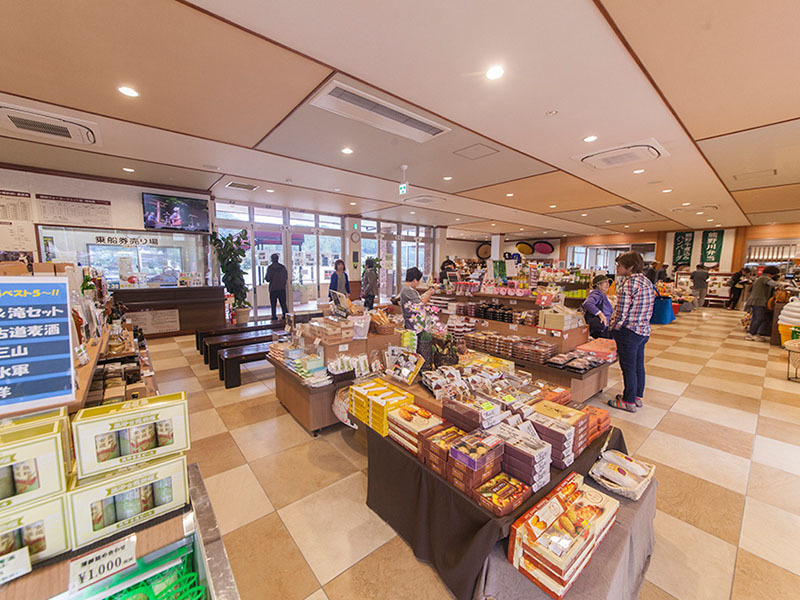 Souvenirs from 3 prefectures, Wakayama, Mie and Nara are selling here. 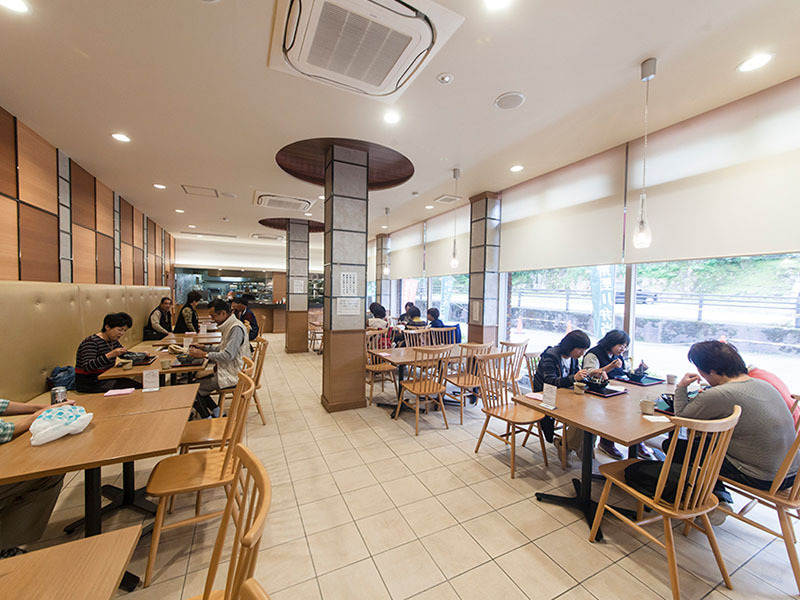 They serve Kumano-gawa Bento, Wakayama Ramen and other local gourmets. Nara Kotsu bus and Meiko bus are also available.